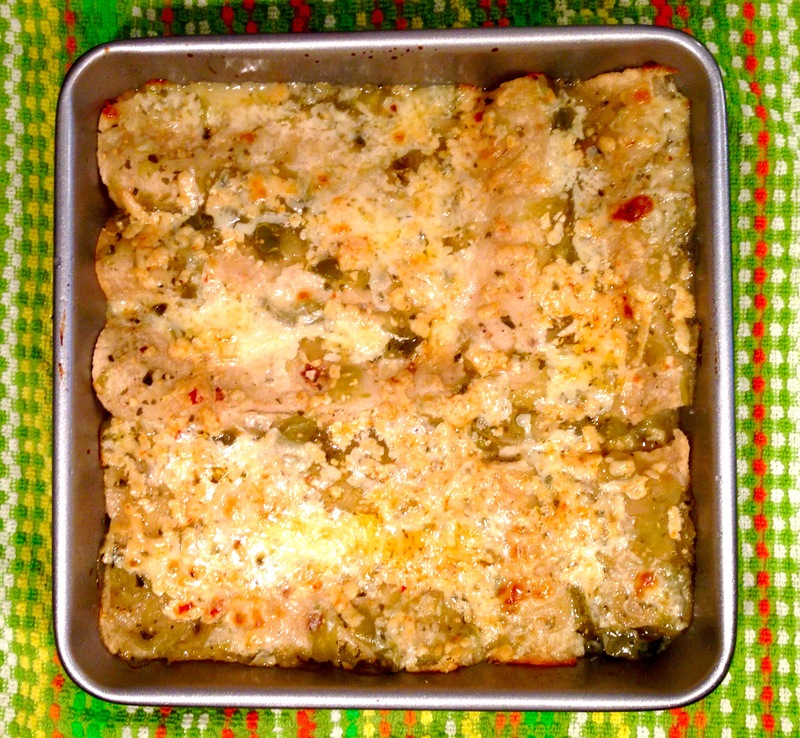 Zucchini and Corn Enchiladas with Tomatillo Sauce – One Half Indian. If you are using corn tortillas, then first preheat your oven to 300 F. Brush tortillas with a bit of oil and heat up for 2 mins in the oven right before you fill the tortillas. This will help them be soft and pliable for rolling. If you are using flour tortillas, you’ll be good to just use the tortillas as is. 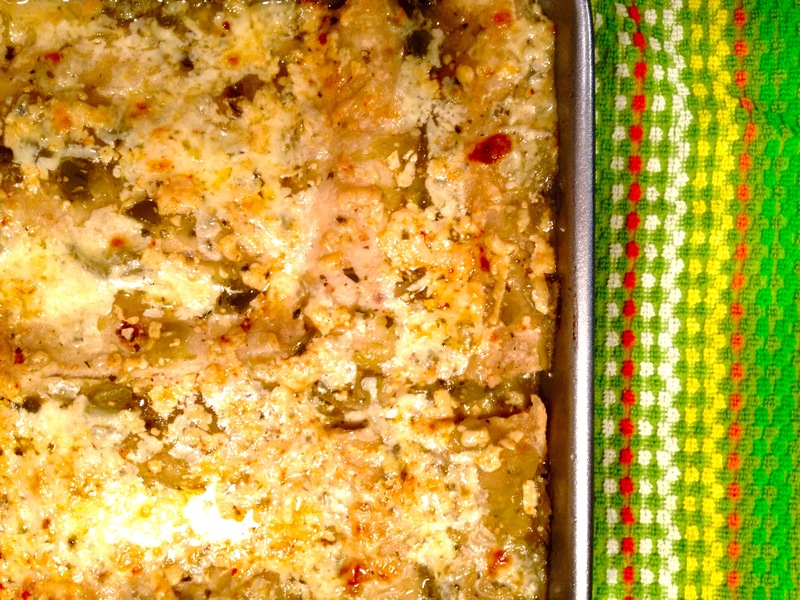 Preheat or increase the oven heat to 375 F. In an 8×8 pan, generously coat the bottom of the pan with tomatillo salsa. In a bowl, mix zucchini, corn, 1/4 cup cheddar, 1/4 cup of other type of cheese you are using, and 1 tbsp of tomatillo salsa. Sprinkle a bit of salt on this and mix it together. On a work station, take a tortilla and fill the center with the cheese-vegetable mixture. Roll the tortilla up and place seam side down in the pan. Repeat this until all tortillas are filled. (I had to break one tortilla in half to fit all 8 in my pan). When all tortillas are filled and in the pan, cover the top of them with lots of tomatillo salsa and the rest of the cheese. After 30 mins, remove foil and bake another 10 or 15 mins. I broiled the enchiladas for 3 mins or so at the end. Serve the enchiladas sprinkled with cilantro and a dollop of sour cream on the side.